We’ve got some new things happening at Timbali Crafts. I am very excited about our newest bag design in the works right now. I started out designing a diaper bag, but what we’ve ended up with is a really beauitful bag, with plenty of big pockets, zipper closure, guava wood button, and of course our unique fabrics that I think make anything look good. So, it’s a great diaper bag, but could also be a super work bag, carry on, etc. It’s a little ridiculous how excited I can get about a bag these days. Our newest bag design! Do you like it?? It’s always fun to teach the ladies a new project. They get so nervous. This new design is by far the most difficult project we’ve done so far. During our first lesson on how to construct the bag there was lots of nervous laughter, and eye rolling, and the favorite Swazi expression, “EISH!” What really got me laughing is when I started hearing the women chattering in Siswatti, with an occasional “B.P.” thrown in, followed by more laughter. They were saying that learning this new bag was causing their blood pressure to rise! I told them not to worry, because my friend Marcia, (who runs Timbali stateside and is also a nurse) would be visiting in the next several weeks and could take care of them. One of the ladies responded with, “Well, she will find us dead!” 🙂 Soooo, we laugh a lot and I continually remind them that they are SMART women and that they’ll catch on before they know it. I also assure them that as far as I know, no one in the history of the world has ever died from sewing a diaper bag! Here are the Timbali ladies learning the new bag design. Do they look stressed out? At the end of January I gave the women a little reading schedule to get through the book of John in about six weeks, with a short reading and few questions to answer each day. The book of John has always been one of my ‘favorites’ for too many reasons to list here—but I do just love the way we see Jesus interact with people with compassion and boldness, how his questions cut to the heart of the issue, and how throughout the book he is revealed as the source of truth and life and SO much more. Not all of the ladies have gotten into the challenge to read John, but some have and I have REALLY enjoyed hearing their thoughts on what they’ve been reading. Last Thursday one of the ladies brought up the story of Jesus raising Lazarus from the dead, and how everyone had given up hope, but that there is ALWAYS hope with Jesus. Another talked about Jesus being the Good Shepherd and that His sheep hear his voice. I pray they continue to dig in to the scriptures. I so much want these women to love God’s Word, and be transformed by its message of HOPE and LIFE! I love the diaper bag? Are the available to purchase yet? Hi Sue–glad you like them! 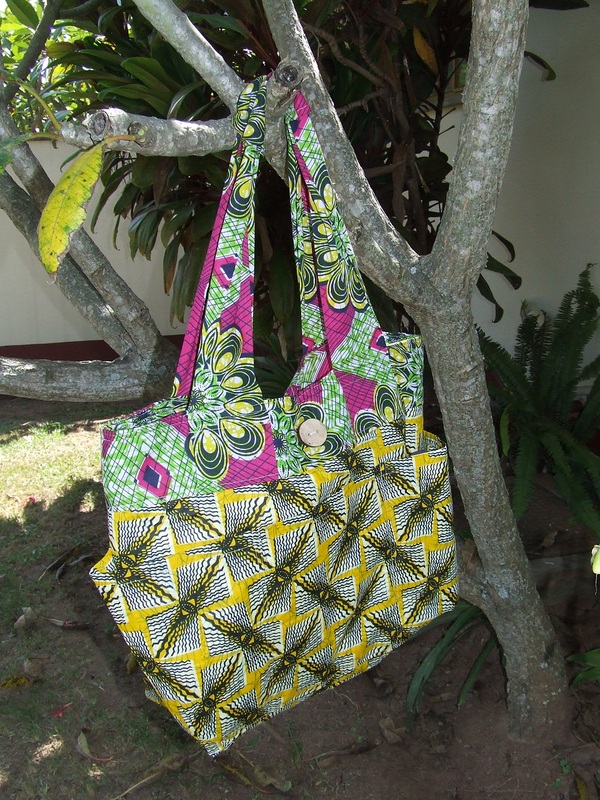 You can find the diaper bag on our new website http://timbalicrafts.org/shop-handbags/litsemba-mega-tote.html. We’ve named it the ‘litsemba mega-tote’ because we realized they are great for so much more than just diapers!! Hope you find one you like! I am on my way to buy one today at a craft sale, for a knitting bag! I bought a sling bag yesterday, and now I have to go back! The bags are so beautiful! Great job ladies. Thanks Karen! Glad you like them! My daughter and I live down at the bottom of Africa, in the tiny little country of Swaziland. 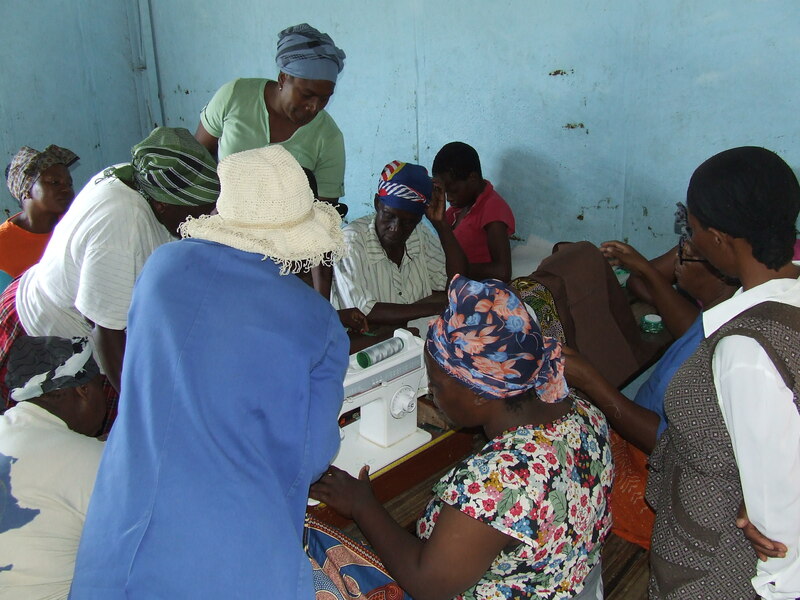 I run Timbali Crafts, an income generating project for rural women. (We make great bags and more!) Thankful for where God has us and for what He's allowing us to be part of!